Keeping your home or business secure is absolutely essential. We offer a range of comprehensive solutions for residential and commercial establishments. Whether you need window shutters to protect against the harsh environment or security screens to increase safety, we can provide the perfect solution for your needs. Roller shutters: Roller shutters are a highly effective way to protect your windows and doors. These can be used to protect your home from the harsh environment and even prevent unwanted intruders. Security screens: Our security screens are custom built specifically for your property and can be installed on windows and doors. Conversions: If you already have manual roller shutters installed, we can convert it to be fully automatic using electronic controls. Repairs and maintenance: Roller shutters are complex systems that eventually wear down with continued usage. We can repair and service shutters of most brands. We aim to deliver exceptional services for all our clients and can do the same for you. Get in touch with us today for more details about our installations and how we can provide the perfect solution. Quality products: Our installations are done with high quality materials that meet strict safety standards. All roller shutters and security screens are built for reliability. Affordable prices: We want our products to be accessible for all residents and business owners which is why our shutters are competitively priced. We will even beat any price if you find a lower one. Efficient services: If your roller shutters or security screens require repairs or maintenance, we always aim for fast turnaround times so you do not have to wait long. Custom solutions: We understand that all projects have different requirements. Our aluminum shutters are custom designed and built to suit your property. We are committed to providing quality installations at affordable prices that fit within your budget. 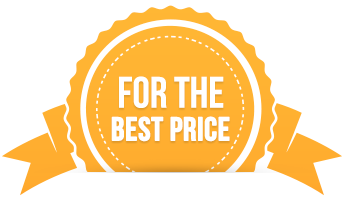 If you find a lower price than what we quote you, we will beat it. Financing options are also available when you choose to hire us. Contact us today for a free measure and quote on new roller shutters and security screens. We service Perth and the surrounding areas.